Secret societies seem to be a staple of fiction set in private schools. They may truly be secret to all but a few, or they may simply be unacknowledged publicly--but either way, they retain an air of mystery that gives them power, which they use to varying degrees from benevolence to criminality. The Vigils are the secret society at Trinity High School, and while most of their activities might be considered pranks, their influence is strong enough that acting headmaster Brother Leon wants to be sure he has their support behind the annual school chocolate sale. The students need to sell twice as much candy as they did the year before, and although participation is officially voluntary, every student has always made at least an effort to sell his quota...until freshman Jerry Renault came along. Jerry’s outright refusal to sell for the first two weeks of the sale starts to win him admiration from his fellow students--until it becomes defiance of the Vigils and their mastermind, Archie Costello, which cannot be allowed to stand. My recollection was that The Chocolate War was a pretty dark novel, and it certainly is, but its dystopian world is that of the contemporary high school--and at almost forty years old, it barely feels dated at all. In fact, its bullying theme may be, sadly, even more timely now. Cormier’s characterizations aren’t terribly complex, but his adolescent boys behave believably. 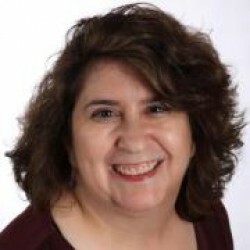 The novel’s plotting is tight and the tension rarely lets up. There’s a good deal of violence here, both psychological and physical. I’d forgotten some of the plot details of The Chocolate War since my last long-ago reading, but I did remember the basics of the story--and when I reached the ending, I remembered that I hadn’t been pleased with it. I’m still not, but as an adult reader I find it more satisfying than I once did. 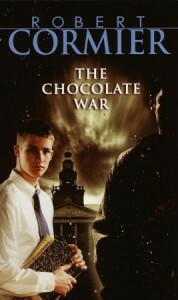 The Chocolate War is chilling, unsettling, and very true to life, and I can see many reasons why it’s frequently challenged, It’s also a defining work of young-adult fiction that needs to be read and discussed for many years to come.